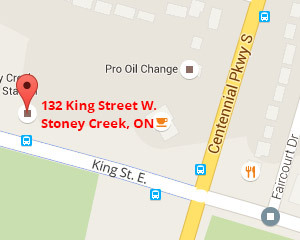 Description: Stoney Creek is a community in Hamilton, Ontario. It was amalgamated into Hamilton in 2001. The community of Stoney Creek located on the south shore of western Lake Ontario, just east of Hamilton into which feed the watercourse of Stoney Creek as well as several other minor streams.